Cook and mash the potato, keep aside. Mix gram flour, melted butter, spices and salt together. Add mashed potato and mix well to form a smooth dough. There is no need to add any water, the moisture from the potato is enough to form a dough. Cover and keep aside the dough for 15 minutes. 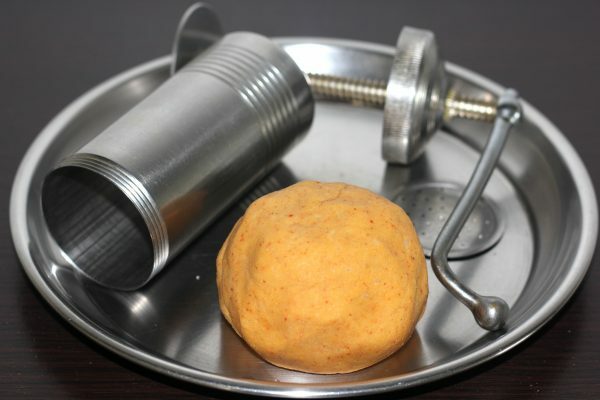 Fill the dough into a idiyappam/ sev maker with a small holes plate. Heat oil in a large pan over medium heat and squeeze dough into the oil in a circular motion. Cook both sides until crispy. Drain on a paper towel to absorb excess oil. Repeat until the dough is finished. 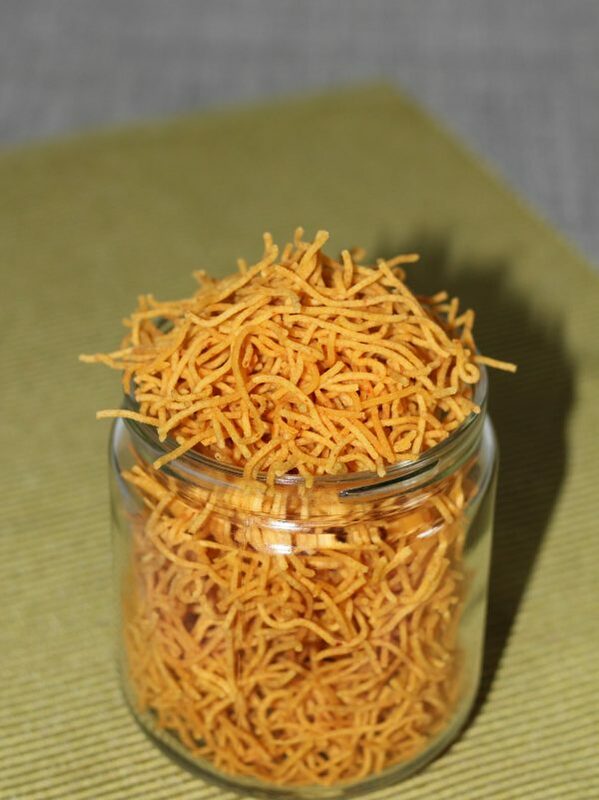 Slightly crush the cooled sev with your hand and store in airtight container.